Do you live, work or attend school or church in the East Madison/Monona area? Can you spare an hour or two per month to make a difference in the life of a senior? There are numerous seniors residing in the East Madison/Monona area who need help with basic chores around their homes to maintain their independence and life satisfaction. These seniors are unable to complete the chores on their own and cannot afford to hire help. Your donation of an hour or two per month to help a senior with dusting, vacuuming, mowing, raking, or snow shoveling could make the difference between a senior living in their own home or being forced to give up their independence. 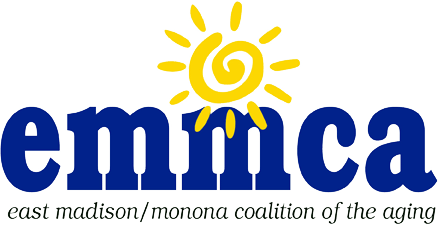 Make a difference by becoming a volunteer with the East Madison/Monona Coalition of the Aging Home Chore Program. Individually - Volunteer individually or with a friend/family member to help a client with indoor or outdoor tasks. You can sign up for an on-going match with a client to help them a couple times a month, These on-going one on one matches allow a volunteer and client an opportunity to get to know one another, and often build strong, lasting friendships. You also can sign up to help with a onetime project like painting, packing for a move, or organizing. Groups – Volunteer with a group from your work, church, fraternity, sorority, service organization or school. Small and large groups are welcome to do outdoor work at EMMCA or at clients’ homes. Spring, summer, and fall are fun times to work as a team helping clients with outdoor projects like raking, window washing, and gardening.